Turf King Hamilton recognizes that your trust is fundamental to the value of the services and products that we provide to you as our customers. Protecting the privacy and confidentiality of your personal information has always been a fundamental principle in our relationship with you. Turf King Hamilton will collect, use, and disclose your personal information in a manner that recognizes your right of privacy. Turf King Hamilton will keep your information and the business you do with us in strict confidence. Turf King Hamilton recognizes your right to access the information we have about you. Turf King Hamilton recognizes the sensitive nature of personal information. Turf King Hamilton adheres to strict rules governing the protection of this confidential information as it applies to Bill C-6, (the Personal Information Protection and Electronic Documents Act., “PIPEDA”) which governs the collection, use and disclosure of “personal information” in the course of commercial activities. This Privacy Pledge outlines our commitment to maintain your privacy and tells you how Turf King Hamilton will ensure the confidentiality and privacy of the information that you entrust us with. This Policy applies to the collection, use and disclosure of personal information acquired by Turf King Hamilton. Personal information means information that would allow a specific individual to be identified or information that can be directly associated with an individual. For example, this includes your name, postal or e-mail address, telephone number, credit card number, demographic information and purchasing history. It also includes any banking information or membership numbers required for processing payments. However, Personal Information does not include the name, title, business address or telephone number of an employee of an organization. 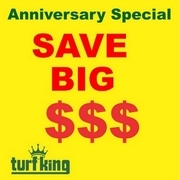 * To communicate with and maintain a responsible professional relationship with Turf king customers. * To develop, enhance, market and/or provide products, services and programs to meet those needs; to make product improvements to Turf King Hamilton. * To communicate information and offers to our customers though newsletters and other forms of communications. As a subscriber you will occasionally receive updates from us about sales in your area, special offers, new Turf King Hamilton services and other noteworthy news items. However, you may always decline to receive these messages. At anytime, you can unsubscribe to Turf King Hamilton's newsletters by sending us a request to opt out. * To enable customers to participate in promotions and contests, Turf King Hamilton occasionally sponsors contests to give subscribers the opportunity to win great prizes. Information collected by Turf King Hamilton for such contests can include survey questions. We do not sell our list or customer information under any circumstances. All information collected is used by the Turf King Hamilton for uses listed above. Information that does not validly serve these purposes will not be collected or retained. Personal information shall not be used, stored or disclosed for purposes other than those for which it was collected, except with the consent of the individual or as required by law. Personal information shall be retained only as long as necessary for the fulfillment of those purposes. 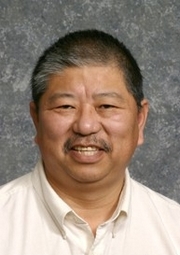 Turf King Hamilton makes every effort to create and maintain accurate electronic data and hard-copy files. Turf King Hamilton updates all files when new information becomes available or is provided. To ensure that the personal information you provided is accurate, complete and up-to-date, we urge you to provide us with updates regarding such information and to inform us of any errors affecting the personal information we hold. If the Personal Information held by Turf King Hamilton is inaccurate, Turf King Hamilton shall amend the information as required. Upon request and appropriate identification satisfactory to Turf King Hamilton, an individual will be informed of the existence, use and disclosure of his or her personal information. The individual will be given access to that information if requested. A reasonable administration fee may be charged to supply the information. The approximate cost of the administration fee will be communicated to the individual prior to releasing the information. In limited circumstances, Turf King Hamilton may refuse an individual access to their Personal Information; however, such refusal shall be in accordance with PIPEDA or other applicable laws. For instance, if the Personal Information is protected by solicitor-client privilege, or would reveal confidential commercial information, Turf King Hamilton may refuse access to such information. In some cases, consent is implied. As an example, if Turf King Hamilton asks to be provided with personal information for a stated purpose, and the personal information is provided, implied consent has been given for the collection, retention and use of personal information. In other cases, when the personal information being collected is considered sensitive, Turf King Hamilton will ask for your express consent and approval in writing will be required. Turf King Hamilton acquires your personal information from you when you initially sign on as a customer and during the process of doing business with you. We only ask for information that will benefit our services to you. This can also include individual requirements and/or considerations that are specific to you and ensure proper servicing of you, the customer. These can include, for example, any special considerations or preferences. Receiving consent will not be a condition of supplying a product or a service, unless the information requested is required to fulfill an explicitly specified and legitimate purpose. Individuals may withdraw their consent at any time, and Turf King Hamilton will explain to individuals the implications of withdrawing their consent. 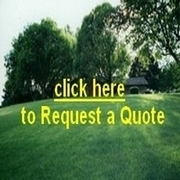 Turf King Hamilton customer information is never sold, but on occasion Turf King Hamilton exchanges names and addresses from its database with other organizations that Turf King Hamilton believes would be of interest to its customers. Customers may request that Turf King Hamilton limit its communications with them, or specify that their names not be exchanged with other organizations, by contacting Turf King Hamilton. These requests will be implemented as soon as possible although due to the lead time for printing and processing of our mailings, communications may not cease for a one-month period. 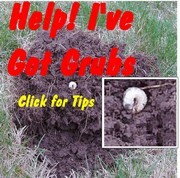 Turf King advertises using third-party vendors, such as Google, to show our ads on sites across the Internet. This website uses Google Analytics to help analyze how users use the site. The tool uses "cookies," which are text files placed on your computer, to collect standard Internet log information and visitor behavior information in an anonymous form. The information generated by the cookie about your use of the website (including IP address) is transmitted to Google. This information is then used to evaluate visitors' us of the website and to compile statistical reports on website activity for Turf King Hamilton. Turf King Hamilton employs physical, administrative, contractual and technological safeguards to appropriately protect personal information. Access to personal information will be restricted to Turf King Hamilton's authorized personnel who require the information in order to perform their duties properly. In addition, access will be limited to only that information that is strictly necessary for the performance of those duties. We welcome your questions or comments. All inquiries, concerns or complaints regarding Turf King Hamilton's compliance with this Policy should be directed to Turf King Hamilton's Privacy Officer. 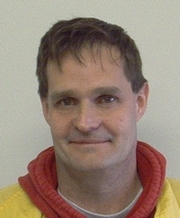 By fax at: (905) 318-6682, Attention: Privacy Officer. You can learn more about the act by visiting the Office of the Privacy Commissioner at http://www.privcom.gc.ca/. 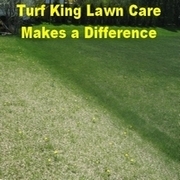 Our website www.turf-king.ca may contain links to other Web sites. Please note that when you click on one of these links, you are entering another Web site for which Turf King Hamilton has no responsibility. We encourage you to read the privacy statements of all such sites as their policies may be materially different from Turf King Hamilton's Privacy Statement. Any material changes in the way Turf King Hamilton uses personal information will be described in future versions of this Privacy Statement.